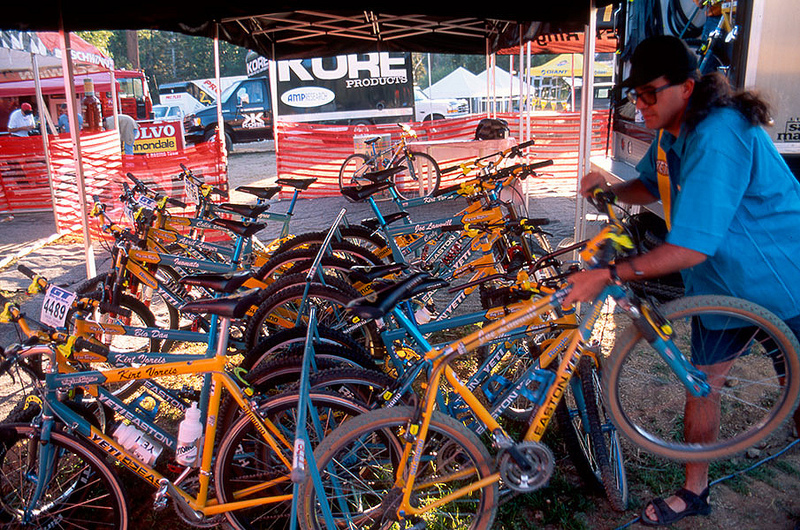 "During the years 1995/2000 when I was involved with the YETI/Schwinn World Cup Downhill bicycle team we totally relied on GravyWheels, which were the best built wheels we could find. Both teams used these wheels and won numerous World Cup events. They are simply the best!" "There’s none better than a set of hoops spun together by Gravy." "What an honor to put in a good word for Gravy. His wheels are simply the best out there, and his "I'll service them forever" customer service is over the top." "I've never had a better set of wheels than the custom sets I've purchased from Gravy. His expertise is building wheels most appropriate for his customer's needs. Couple that with a lifelong commitment to producing wheels of the highest quality, throw in a commitment to servicing those wheels for life and now you start to see a more complete picture of a legend. To this day when I stop by the shop he never fails to throw the wheels on his truing machine even though a. they don't need it, and b. they are over 10 years old!" If yer in Hella NorCal, or anywhere else for that matter, hit up Steven (Gravy) Gravenites for race-tested wheels with a pedigree like no other. If you need that super special pro-build on your new bike, I can't think of anyone better than a guy who has wrenched for dozens of world and national champions and built more wheels in a weekend of DH racing in the nineties than some johnny-come-lately "wheel builders" do in 6 months. FTW has been working with Gravy for nearly 30 years starting back in Yeti's SoCal days with Parker and FTW driving him harder and harder to build the best wheels for winning races. Period. He's been building wheels for mountainbike racing before wheels for mountainbiking actually existed. I have to thank Gravy for his support going into the 2013 MTB and BMX seasons and beyond.